Want to try before you buy? 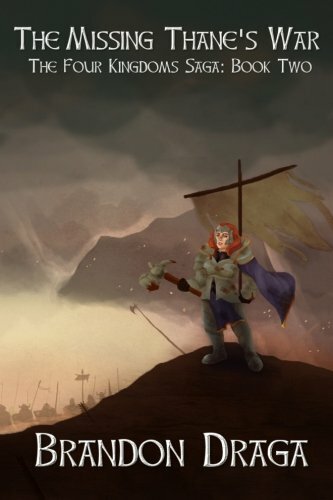 Download a FREE Four Kingdoms short story RIGHT HERE! "...Draga likes to mess with traditional stuff like Orcs and wizards and black conspiracies, but he has just enough creativity to make it his own." "3 out of 4 stars...a light read for anyone who loves fantasy and can’t get enough of it." 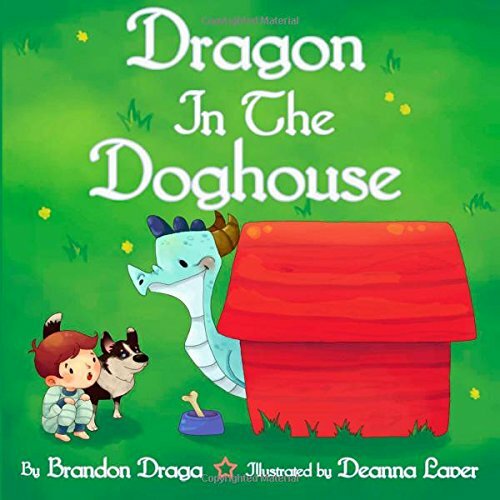 "...Draga does a stellar job of mixing likeable characters with shady scoundrels that become unlikely heroes... I cannot wait for the second book." Enna Summerlark has spent her entire life as a farmer's daughter in the kingdom of Hallowspire, paying little mind to anything past what to sell at the next market day. When the next market day comes, however, strange events take place that will reunite her with an old friend, bring her into the world of a pair of sell-swords, and reveal a secret that will change Hallowspire forever, and cause ripples across the whole of the Four Kingdoms. 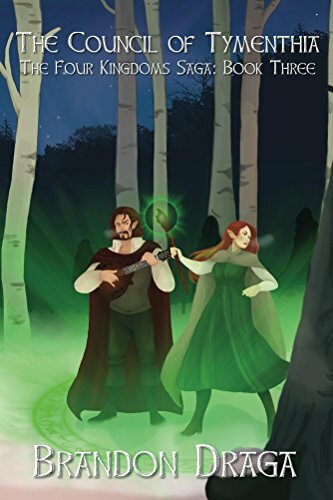 The first book in "The Four Kingdoms Saga", The Summerlark Elf introduces readers to compelling characters in an engaging world of swords and sorcery, personal turmoil and political intrigue! War has erupted in the Four Kingdoms. Queen Merrian of Lohvast is finally making good on her dark designs for neighbouring Hallowspire, and as Enna, Erasmus, O'doc, and Falken return from the Dwarven Thaneships, the disappearance of O'doc's aunt finds the group unwittingly pulled into the middle of the conflict. Seeking allies among the shadows of their pasts, the companions make their way to the kingdoms where their journey together first began, only to be suddenly ripped apart! 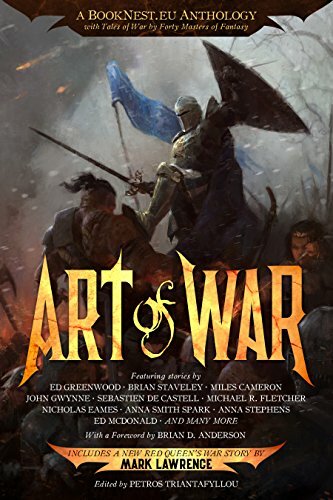 Vanishing without a trace, Enna and Erasmus find themselves faced with long sought-after answers, all while trying to find their way back home, where O'doc must pick up the pieces of their mission. 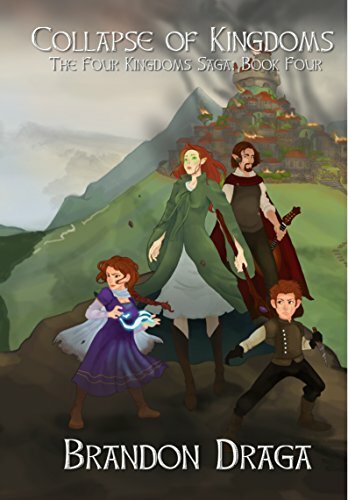 With higher stakes, more action, and surprises at every turn, book 3 of The Four Kingdoms Saga opens up the world around Enna Summerlark and her friends in ways that will be as unexpected to the reader as they will be to their favourite characters! What would you do if you awoke one morning to find a great White Dragon had taken roost in your backyard, scaly little kobolds had begun eating all the food in your kitchen, and a powerful old Lich had decided to wash his robes in your laundry room? What would you do if it didn't look like they planned on leaving? For all her life, Enna Summerlark assumed she was a farmer's daughter and nothing more. A whirlwind of events changed that, causing her to leave everything she knew in search of a past she didn't know she had. 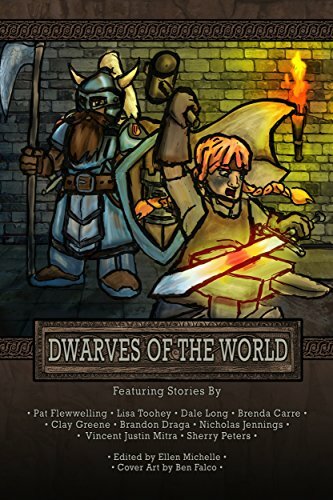 Alongside her new friends, the dwarf merchant Adrik and the sell-swords O'Doc and Erasmus, the young elf travels to the city of East Fellowdale in search of answers. The companions' quest hits a sudden snag, however, when Adrik mysteriously vanishes. Now the remaining friends must place their trust in unlikely allies, face ghosts of their pasts, and delve straight into turmoil if they are to discover Adrik's fate. 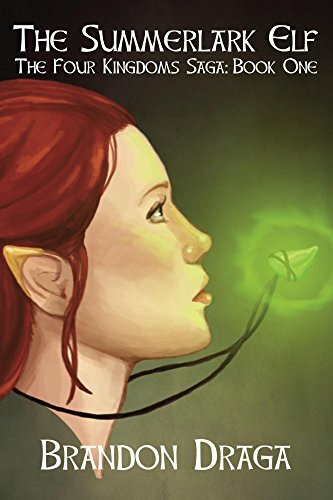 The follow-up to the critically-acclaimed The Summerlark Elf, The Missing Thane's War continues to build upon The Four Kingdoms, raising the stakes for the world at large and its inhabitants alike! 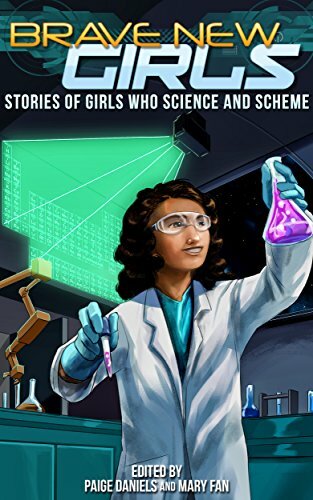 After months of searching for the secrets of her past, Enna Summerlark has finally found the answers she sought. In doing so, however, she has unwittingly helped to throw the world into complete chaos. With the Praetor of the Council of Tymenthia dead, a centuries-old spell keeping arcana in check across Olhéan is broken, stripping arcanists of their powers, and freeing the demon Nebalsus from Its prison. Enna and Erasmus find themselves stranded on the continent of Shahtyr, trying to find a way home to undo the damage that has been wrought. Half a world away, O’doc and Odonwa struggle to make sense of a world suddenly turned upside-down, with no explanation as to why. With their search for their missing friends at a stalemate, the halflings embark on a search for their aunt Caliope, unaware that the war between Lohvast and Hallowspire is only just beginning, and that a nascent traitor may be in their midst.